With Dynamics 365 for Sales, sellers can automate sales processes to boost productivity, gain key insights, streamline sales cycles, and reduce costs. Sellers have a whole new view of customers with capabilities at their fingertips that will allow them to detect future opportunities and sell more effectively. Dynamics 365 is a relationship assistant that allows users to consider contact insights and make fast acting decisions that will help sellers to continue building those crucial relationships. This instant access to customer data such as email interactions and engagement equips sellers to take meaningful action. Dynamics 365 merges the latest ERP technology and Microsoft CRM to help you win customers effectively. If you’re looking to further the dynamics of your sales team and get them to meet or exceed targets, get savvy with Dynamics 365. This feature helps you connect with sales teams across different regions to the shared account of a customer. As a sales representative, you have access to each account. You can also keep track of the hierarchy in the CRM across multiple locations to understand the relationship of contact levels and group companies as well. Dynamics 365 assists sales teams in effectively handling the renewal of contracts and agreements which helps increase revenue in the form of income from licenses, maintenance plans, and support agreements. Dynamics 365 uses third-party methods to integrate with web forms. This automatically imports registrations, downloads, inquiries, and other online activities, easily. In fact, Dynamics 365 uses these precursors to initiate workflows that send mail notifications to help plan follow-up schedules. Viable communication techniques like this help get the sales process rolling quickly and easily. Goal management is an intuitive feature of Microsoft Dynamics 365 which enables you to set goals for sales, marketing, and other verticals in your organization, followed by measuring/tracking the results against targets. This feature is particularly targeted for users managing portfolios of customers or have positions equivalent to a Sales Manager, Sales Director, Business Director. • Goal: It is used to keep track of your progress against set targets. This gives you the actual figures, whether it is revenue or number of total invoices paid. • Goal Metric: Every goal record is based on an underlying goal metric record with a metric type of either count or amount. • Rollup Field: The goal metric has roll-up fields which are nothing but the actual and estimated values of the goal being measured. With the Dynamics 365 by their side, sales teams today can get an in-depth insight into customer behavior. This means they are better equipped when making calls to customers since the sales team can steer the conversation in a favorable direction that’s beneficial to the customer. 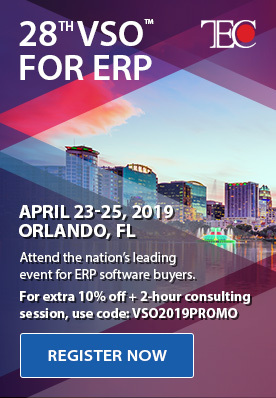 Knowing why a sales transaction failed or proved beneficial with Dynamics 365 helps you understand strengths and shortfalls. It essentially makes it convenient for the team to compare results from current and prior sales patterns. Going forward, this highlights the win versus loss ratio of a product or service surfacing because of upcoming competitors, quality issues, or pricing. The mobile CRM platform in the Dynamic 365 platform allows you to stay connected at all times. Whether you’re onsite or offsite, there’s no communication gap and the sales staff can access any information – customer, customer data, opportunities, etc., on their mobile devices from anywhere. An otherwise manually tedious process, Dynamics 365 accumulates leads from information-rich sources and automatically routes them to the concerned salesperson. Using data stored in Dynamic 365, you can set the routing rules based on account status, location, product or any other criteria your company deems fit. Did you know that the Dynamic 365 can import all kinds of data from list providers or external data sources as a one-off import? This allows you to access each relationship from one interface. That’s not all, Dynamic 365 is flexible to manage, plan, and follow-up business strategies effectively. It also allows the team to keep tabs on customer concerns and engage in positive interaction. This can promote sales conversion by turning a contact into a flourishing sales opportunity. These are just a few aspects from a long list of must-have features; there’s plenty more to explore and experience. 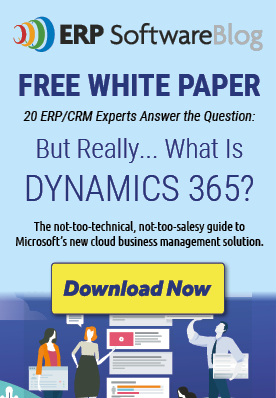 Learn more about Microsoft Dynamics 365. Microsoft Dynamics provides unlimited companies, and can enable greater feature benefits in 2019!